Many different kinds of contacts are available at our industry-leading facility, The Plano Eye Care Center. We sell all of the most common options on the market as well as many specialized choices. These include plenty of options for people who may be difficult to fit due to their correction needs or associated eye conditions. Contact lenses are available to be worn and thrown out every day, every week, or every month. Daily disposables are worn all day, thrown away at night, and a new pair put in the next morning. These lenses are popular because they require less in the way of cleaning and can be more comfortable for some people. Other types of disposable lenses may be taken out at night and put back in the morning but then discarded after 1-2 weeks or a month. Extended wear lenses are FDA approved for wearing overnight, a feature that people who don’t like taking their contacts in and out are fond of. 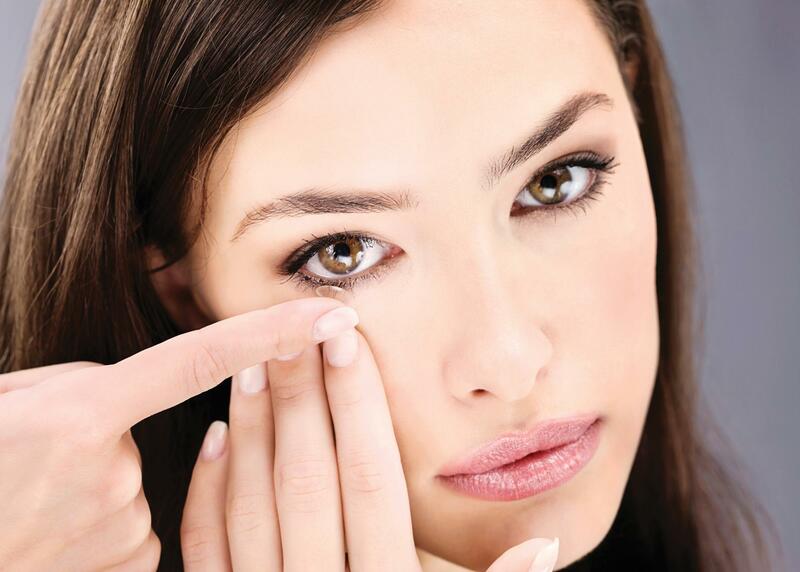 These types of contacts are approved to be worn continuously for a period of time, usually 7 days to a month. Almost all extended wear lenses are disposables intended to be used for the given period of time and then discarded. If you need lenses to see far away, but that leaves you unable to read the menu, you might have a condition called presbyopia. We sell contacts for this condition, which involves difficulty focusing close up, such as when trying to read a menu. Multifocal lenses either have a bifocal design that includes discrete sections for close and far vision, or a gradually changing power that allows a more natural type of change of focus. Modern multifocal lenses, including bifocals, come in a variety of types and are available for people with astigmatism as well as myopia (nearsightedness). Being diagnosed with astigmatism makes many people believe that they cannot wear contact lenses. However, modern lenses are available that are capable of treating astigmatism and allowing the user to avoid the inconveniences of wearing glasses. These are called toric lenses, and they correct for varying degrees of astigmatism as well as other vision conditions you may have. Toric lenses come in colored versions, multifocals, and even extended wear versions now. Contacts known as CRT and Ortho K lenses are designed to be worn at night to actually reshape the cornea. The process is called orthokeratology, and it works on myopia best, although there are versions for people with mild astigmatism, hyperopia (farsightedness) and presbyopia. A night spent in these contacts allows some users to spend their day without wearing any lenses at all. Hybrid lenses have a rigid center to provide the best vision correction and soft edges for comfort. Many types of vision correction can be achieved using hybrid lenses. Scleral lenses are extra large lenses that help correct problems typical contacts have with irregularly shaped corneas. People with conditions like keratoconus may have been told that they cannot wear contacts because of the shape of their eye. However, modern scleral lenses can work for many of these people. Colored contacts are available for fun and function. Non-prescription colored lenses enable people who have good vision to experiment with changing their eye color. Interestingly, these are called “plano” lenses in the eye world, just like the location of The Plano Eye Care Center! Prescription colored lenses allow people who need vision correction to enjoy the same experience. Both dramatic and more subtle tints are available for varied tastes. Make An Appointment For Contacts with Our Optometrist in Plano, TX Today! Come in today and let our experts fit you with a new pair of contact lenses that are tailored to fit your needs. New patients are welcome! Dr Gulrez Khoja, our Plano optometrist, has worked with many forms of vision correction and can help with anything from mild myopia to multiple severe vision issues. For more information about The Plano Eye Care Center, call 972-964-3937 today.